I have been undertaking research for this play for many years. Long before I knew I was going to write it. The English Civil War has always interested me. As a subject it is insufficiently taught and dramatized for its importance, not because of its bloodshed which was immense but because of its unfinished business. 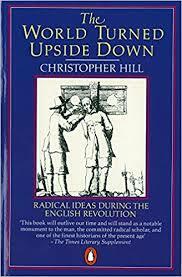 As soon as we applied for funding, I went back to the books starting with Christopher Hill’s highly influential The World Turned Upside Down first published in 1972. Its contentions are still popular though no longer mainstream, that the Civil War was essentially a revolution inspired by political ideas and economic forces. Hill’s book and his essays on Puritanism and Revolution are indispensable but they are not the whole story and since his heyday the barometer among historians has swung towards the conflict interpreted much more as a religious war, the final act of the Reformation. The important question, particularly for a playwright is what were the belligerents saying at the time? 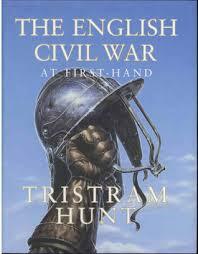 Enter stage right Tristram Hunt wielding The English Civil War At First Hand. Hunt populates the chronology with testimonies from people of either side. For a wide-angle big picture there is Peter Ackroyd’s Civil War which puts Scotland in the frame for the causes and conduct of the conflict. If I had another six-months I might get to finish Michael Braddick’s God’s Fury, England’s Fire which is remarkable for its intellectual breadth. For the local impact of the war I have visited Halifax library’s archive and was handed the Antiquarian Society Records from 1909 to 1911. These were I think also sourced by David Shires for his book The Halifax Cavaliers and the Heptonstall Roundheads. Above, Julie Turner spinning yarn. But text alone is not sufficient research, particularly if one is working in imagery as well. 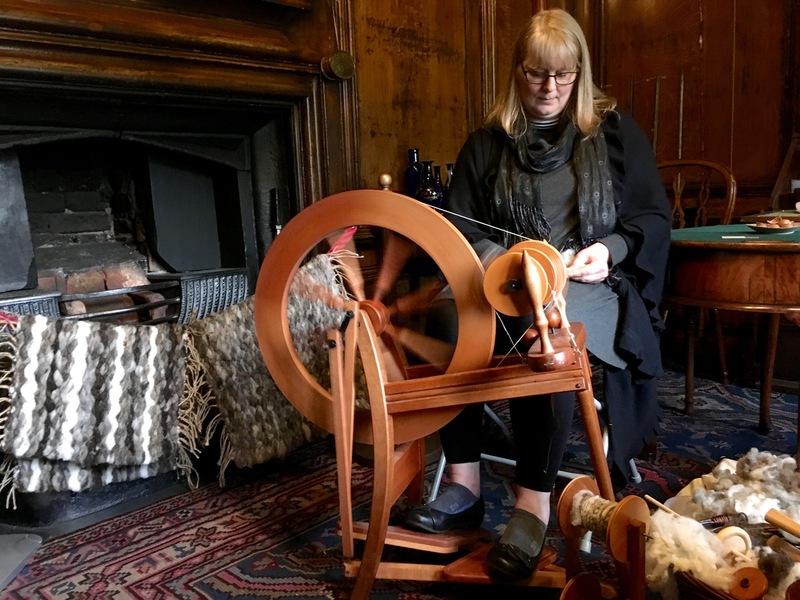 Heptonstall in 1643 was a place where cloth makers lived, spinning and weaving in their homes. My central characters take fleeces and make them into unfinished cloth to be sold at the cloth hall. The best way to begin to understand what this means is to ask those that currently spin and weave by hand, that know how to work with wool and know its qualities. To hold the raw material in my own hand, tug at it and ask questions. I’d like to express my gratitude to Nic Corrigan, Jane Sutherland and Julie Turner who have enlightened me on the complexities of something I have always taken for granted. I am also indebted to Murray Secombe and Diana Monahan of Hebden Bridge Historical Society who are a well of knowledge. Murray has even offered to read a draft of the script for the purposes of historical authenticity. John Spencer from Bankfield Museum who has a particular interest in the Battle of Heptonstall is also putting his shoulder to the wheel. There is thus far, community support for the community play. Back to the desk. This entry was posted in Writer's Diary. Bookmark the permalink.